A Full Moon starts the New Year. This creates a tug of war between the inner and outer security which will inevitably result in balance for the universe. Because of this people will be feeling more secure within themselves. People in general will attract more abundance throughout 2010. The numerology of the year (2+0+1+0=3) offers us plenty! The creation vibration of the number three not only signifies abundance, but casts a glow of love over our perception. With our perception changing collectively, we should see the economy improving by at least 30%. Likewise, we'll see lots of "new" things being born this year that bring joy into our lives such as babies will be on the rise, as will new musical instruments, and electronic devices which will contribute to creative expression. There will be another option available to enrich people's lives. Something along the lines of stocks, bonds. With Saturn (the astrological taskmaster) in Libra (the sign of Justice), the two Supreme Court Justices will be replaced. There will be new love around Madonna, but overextension in the Springtime will prompt a new-found serenity and deeper interest in metaphysics, perhaps as a psychic, healer or astrologer. Major tension will happen between Ellen & Porcia Di Rossi and Brad Pitt & Angelina Jolie, whose kids will be disbursed outside of the two of them. Brad Pritt will reunite with Jennifer Aniston. Lots of greens and purples in fashion will come into play. Items that give a nod to the sensibilities of the 30s and 40s such as pleated ankle-length skirts but they will be updated with distinctive and rare colors. In 2010, Bert Reynolds dies. Joshua the Psychic started reading professionally at 17. Having undergone serious psychic training at The Original Tremont Tearoom, the world's oldest and most reputable psychic institution in Boston. His talents as a psychic, astrologer and handwriting expert have garnered him attention by national and international media. 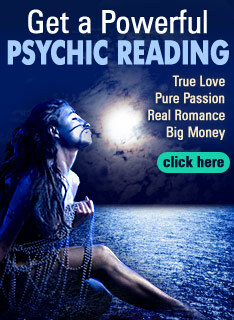 As a NYC psychic, Joshua received the highest rating in a psychic expose by Time Out New York! He is available for private consultations, phone readings and parties; find out more about Joshua online at www.psychicjoshua.com. Oh wow; sad to hear about the break-ups & departures for 2010. One psychic even predicted the death of Elizabeth Taylor. Just seems to be too many passings for comfort. On the flipside, I'm happy to hear about financial & love in abundance for most of us. I just keep that white light of the Holy Spirit surrounding me heavily! I may just make an appt.to see Joshua. Happy Holidays to you all!